The Health Insurance Portability and Accountability Act of 1996 (HIPAA) requires that any electronic data that is PHI (Protected Health Information) in nature adhere to strict security practices when it comes to storage and protection. If you process data that requires HIPAA compliance, look no further. GlowHost has you covered. 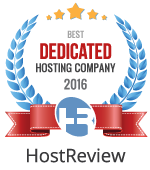 Established in 2002, GlowHost is no stranger to the web hosting world and it’s range of requirements and services. Fully staffed 24 hours a day, seven days a week, we’re ready to help! Our datacenters are fully-featured and secure, ready to accept any form of data! GlowHost offers numerous datacenters around the world that can accommodate your HIPAA Compliant needs. Want to find the right one for you? Just contact us. We’re here 24/7/365 and glad to help.